A Malaysia Airlines Boeing 777-200, registration 9M-MRD performing flight MH-17/KL-4103 from Amsterdam (Netherlands) to Kuala Lumpur (Malaysia) with 280 passengers and 15 crew, was enroute at FL330 about 50nm northwest of Donetsk (Ukraine) when the transponder signal was lost at FL330 at position N48.56 E37.21 at 13:43Z. The aircraft came down near the village of Shakhtarsk (Ukraine) about 56nm from the last transponder position and 20nm from the Ukrainian/Russian border. Ukrainian rescue services reported that the wreckage is spread over an area of about 15km diameter around the villages of Hrabovo and Shakhtarsk. Ukraine ATC reported that the aircraft was enroute normally, there had been no indication of any problem and there was no emergency call. Ukraine’s Ministry of Interior have confirmed the Boeing has crashed, there were no survivors. The Ukraine have closed the airspace around Donetsk about 90 minutes after the aircraft disappeared. 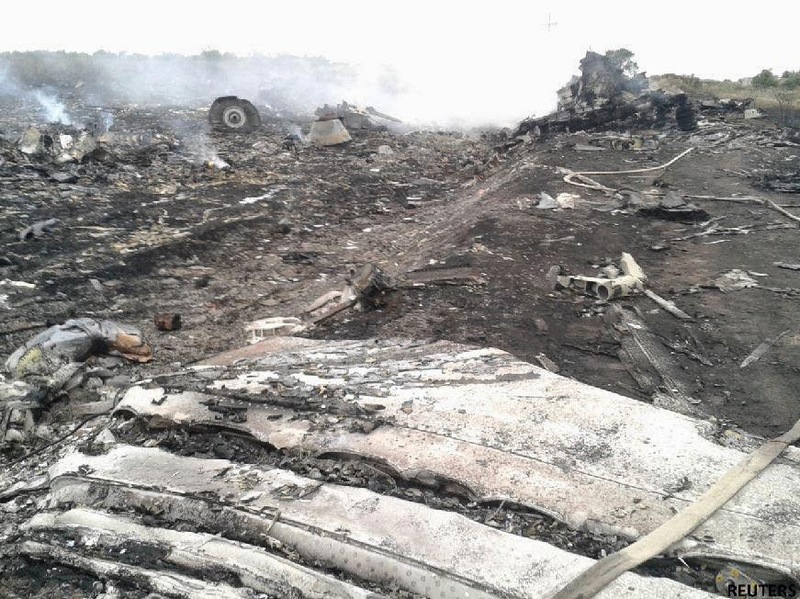 The Ukrainian President said, the aircraft has been brought down as result of a terrorist act. Ukrainian military forces were not involved in the shoot down of the aircraft. Ukrainian separatists had initially claimed they had shot down another Ukrainian Airforce AN-26, the comments were and references to them are currently being deleted across the Internet. Separatists of the self pronounced Republic of Donetsk had also shown off with ground to air missiles capable to down airliners in the last couple of days, these videos and messages are currently being deleted as well. Officially the separatists state, that they have no involvement into the downing of MH-17. The Ukrainian Foreign Minister reported the Ukraine have opened a criminal investigation into the terrorist act and reported in a press conference, that they have intercepted phone calls between rebels who initially celebrated the shoot down of another Ukraine Air Force aircraft, then recognized and discussed that the aircraft was civilian with a lot of casualties.